You know the snowpack must be treated with respect when whumpf (collapses) are widespread. But then, when skinning through small terrain features (safe areas) and small releases are triggered, it becomes poignantly clear that the snowpack has a weak structure prone to fracture propagation. I was surprised when climbing up to Pilot Peak I triggered multiple collapses at south aspects above 7200 feet. I was NOT expecting that south aspects will have a weak structure. The next videos show the compression, extended column compression test, and an experimental horizontal saw test. CTM_12_27_2017 from Santiago Rodriguez on Vimeo. ECTP_Dec27_2017 from Santiago Rodriguez on Vimeo. H_PST_Dec27_2017 from Santiago Rodriguez on Vimeo. Both compression tests failed at moderate scores and provided further evidence of fracture propagation propensity, in addition to collapses and cracks observed today. The last few days I have been carefully observing test results for various stability tests. Two days ago and today, the Propagation Saw Test (PST) fracture was arrested after the slab broke, as it can be seen in the two pictures included below. I do not think it is an issue related to slab stiffness or aspect ratio, the bending moments resulting from the propagating wave are sufficient to mechanically disturb the slab and break it. I tried different aspect ratios and widths with no success. Besides, avalanche researchers have documented that the PST can be unreliable with thin slabs. 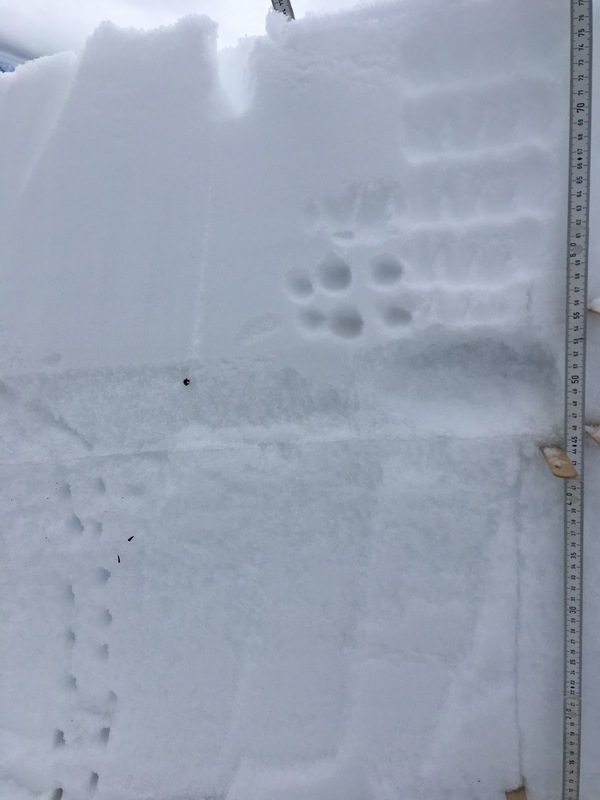 The snowpit profile changed very little from two days ago. Notice that today I measured crystal sizes. I was unimpressed with the facet lack of striations, and irregular crystal sizes and shapes of the facets. However, I noticed significant facet chains. As I drove back to Boise I kept thinking how to document that attribute, and I have an idea I will test in a day or two. The temperature gradient at the weak layer interface in the snow pit profile is not strong. It is unlikely that at this time there is any significant active facet metamorphism at the weak layer interface. 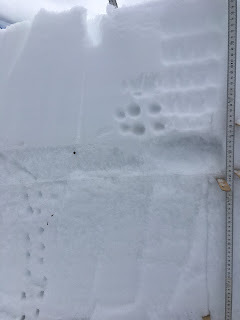 Today's snow pit, just like the one two days ago has a thin ice crust, that can be easily missed. The skiing was fun today, but the snow has densified compared to two days ago. AlmostTopWorldDec27_2017 from Santiago Rodriguez on Vimeo. Snow settlement is driven by the effect of gravity on the snow - its weight causes densification. 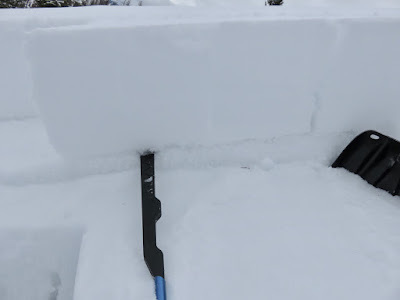 Sintering metamorphism is responsible for the building of bonds between snow crystals. 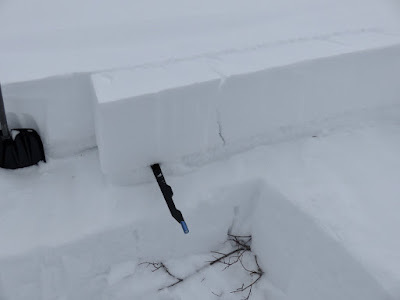 Snow settlement and sintering inevitably result in the development of a slab. And there is a weak layer with facets in excess of 2 mm in size under the slab. 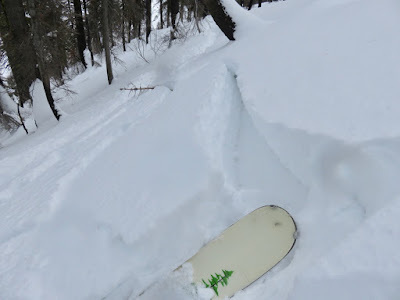 We call this avalanche problem a "Persistent Slab" problem. The term persistent refers to the temporal durability of the facets undermining the slab. Meanwhile, there is a winter weather advisory for Thursday night through Friday with a potential of up to 20 cm or more of new snow. 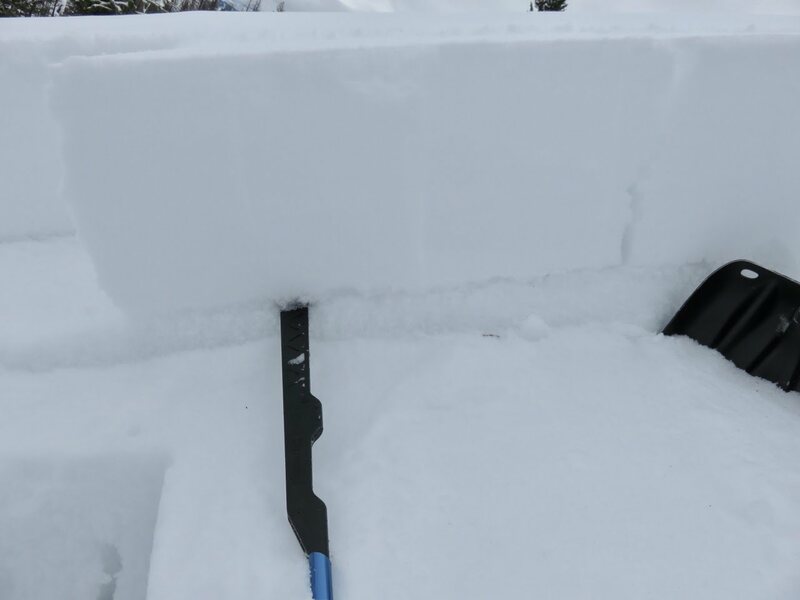 The snowpack structure at MCS is a concern, thus it will be important to apply conservative decision making during the upcoming weekend. An important practice during periods of instability is to be aware of slope steepness. There are two tools that make easier to travel safely; a topo map with slope steepness and a clinometer to measure slope angles. During the last posting (Christmas day), I encouraged blog readers to install on their phones the free Avenza application. Also, you need to use the Avenza app to download into your smart-phone the maps for Pilot, Freeman, Sunset, Wilson peaks. These maps are available at the Avenza map store for free. 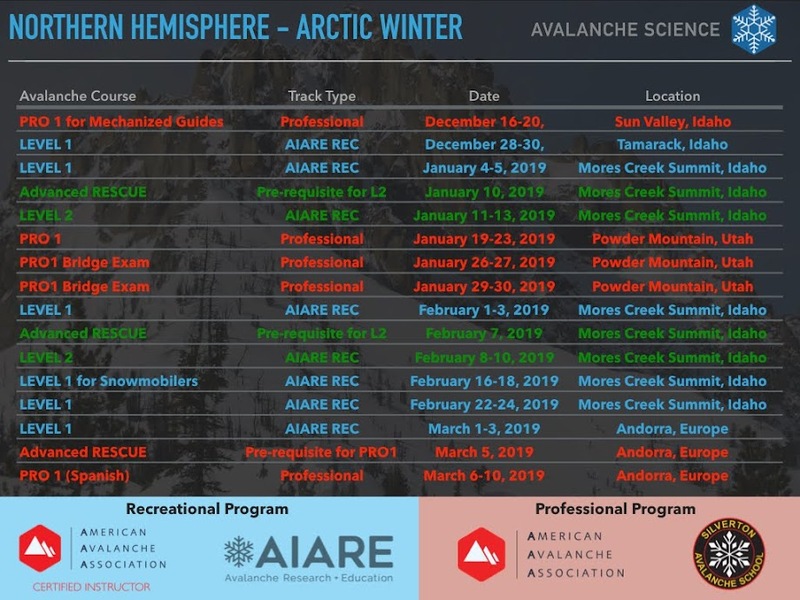 I uploaded to Avenza database several georeferenced pdf maps with colored slope angles for MCS area as well as Copper Mountain - Banner Summit. Below an example of the application with today's (blue track) as well as December 25 tour (yellow track) tour. 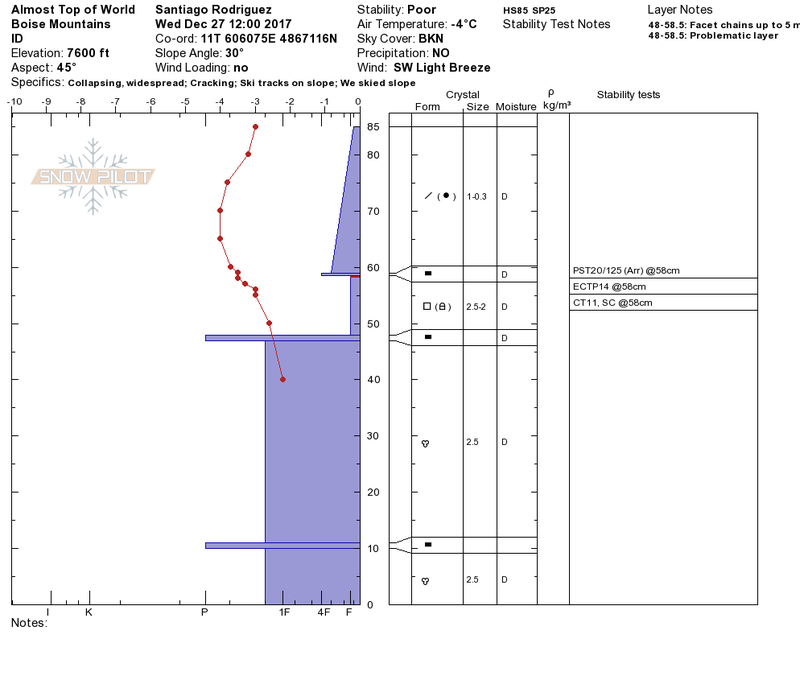 Notice that red denotes terrain steeper than 35 degrees, and that must be considered avalanche terrain. This solution replaces a printed topo map, and it is a fantastic safe travel tool - Why? - It will display where you are relative to steep terrain. 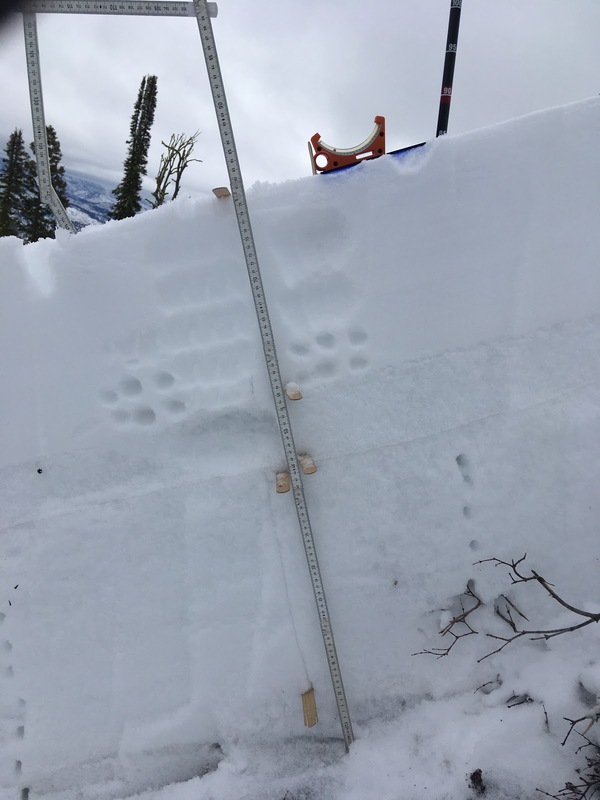 But we also need to measure slope angle in the actual terrain. 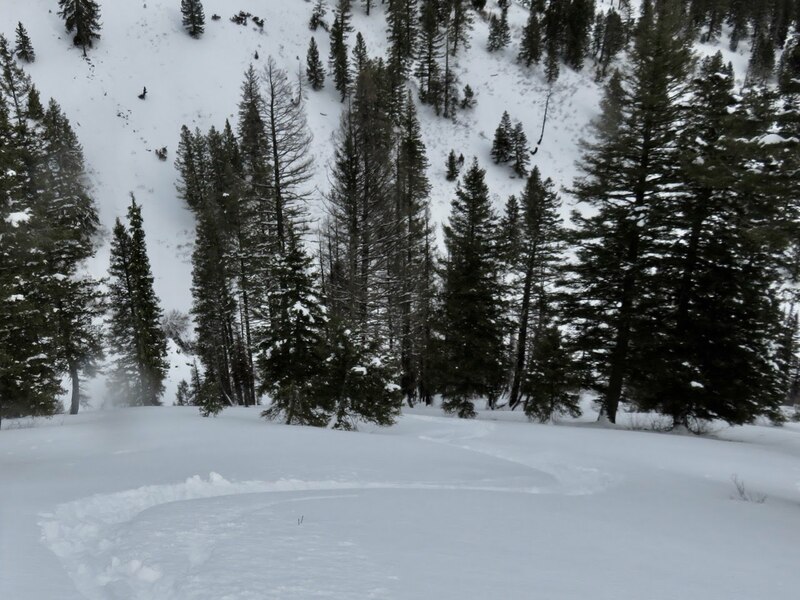 It is not possible for maps to capture small terrain variations that result in avalanche exposure. I suggest that you purchase a phone app named "Avalanche Inclinometer". It is only a few bucks, it is the best app out there, and it works. I have compared the app it to a forestry (accurate) clinometer and it compares very well. There are various phones apps for slope angle measurement. But the one recommended here has a feature that makes it the best solution. You basically sight the angle through the phone long axis side and a simulated voice dictates the angle. You can use your finger to tap the screen to lock the slope angle measurement if you do not want to use the voice option. I have not seen any other inclinometer app that locks the clinometer after sighting. That feature is a MOST. The color of the screen reflects the if the angles correspond to avalanche terrain danger (Red = High, Orange = Moderate, Green = Low). My day finished on a high note. 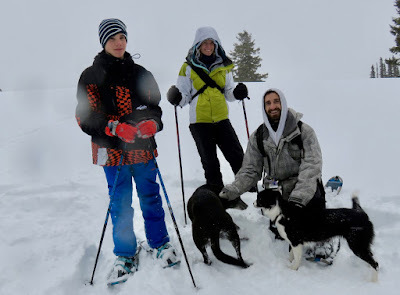 On my way down I met some very nice folks snowshoeing at Pilot Peak. It is terrific to see other users enjoying travel in snow!